Outsource Packaging provide a broad range of storage and delivery services. We can cater for all your freight needs, guaranteeing quality of service at an affordable price. Using our Pick & Pack services allows you to grow your business by outsourcing responsibilities related to fulfilment solutions for your product. Save money, expand your company and increase exposure while having the confidence that your fulfilment provider is the best in the business. Our warehouse can also load and unload containers on site - all containers can be side loaded or unloaded within our warehouse, offering security for all your products. Packaged products can be unloaded straight from container to storage. We are aware that different customers have different requirements. We are happy to discuss any extra services that you may require. If you require storage or distribution services for your products, then please give us a call. 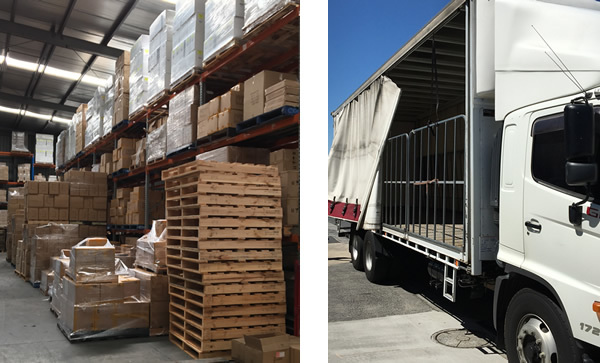 Tags: Pallet storage services in Melbourne, Product storage in Melbourne, Frieght forwarding, Container unloading, container loading, Pick and Pack service in Melbourne.